The purpose of OASFAA shall be: to foster and promote the professional preparation, effectiveness, recognition, and association of administrators and counselors of student financial aid in educational institutions beyond high school and individuals in public or private agencies or organizations concerned with student financial aid. Welcome to the OASFAA website. OASFAA is a dynamic volunteer organization, and relies on the support of its members to offer training, networking opportunities, and professional development opportunities. If you are not currently a member, please consider joining. 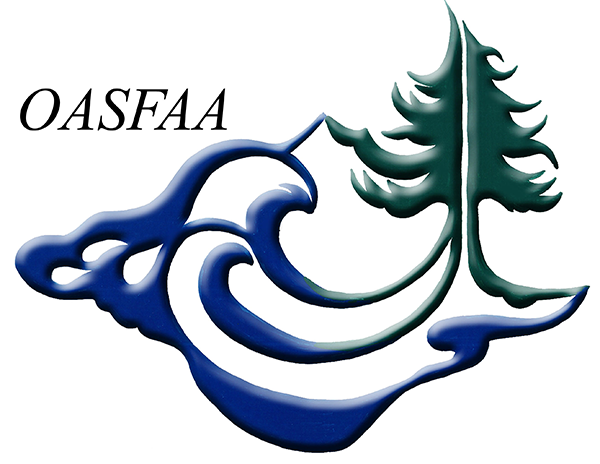 What another outstanding Annual Conference at the always beautiful Salishan Resort, it truly was OASFAA in Paradise. It was such a pleasure meeting so many of you throughout the conference and for those I haven’t met I look forward to connecting with you throughout the year. Special thanks to all of the conference committee members and our three outstanding co-chairs Shauna Harper, Jess Kelly and Carlos Villarroel. So much goes into planning an event like this and we are very grateful to all our volunteers. I am so very honored and excited to represent OASFAA this year as President and to serve alongside the rest of the Executive Council for 2019-2020. Coming from Colorado four years ago, OASFAA has truly welcomed me with open arms. It is great to see so many passionate financial aid administrators working together for each other and for the students we serve. The commitment we have from our volunteers to provide trainings, professional development, mentoring, and collaboration throughout the State of Oregon is extremely special. I hope to keep this strong tradition going for 2019-2020 with the help of so many of you. If you are new to financial aid, new to OASFAA, or work closely with a financial aid professional and are interested in volunteering, we have a job for you! Our OASFAA committees do so many great things throughout the year including; leadership development, training events, networking, newsletters, high school nights, legislative updates, etc. None of this would be possible without volunteers. There are so many opportunities for all kinds of skill levels, interests, and time commitments. If you are interested in getting involved please fill out our volunteer preferences form. I wish everyone a great 2019-2020 year and happy springtime! Individual Membership Dues are $35 annually and Institutional Membership are $200 annually. OASFAA’s Membership year is June 1st through May 31st. In addition to our new and improved website, OASFAA is working on more ways to engage our members and the financial aid community in Oregon. Our communications committee maintains the OASFAA Facebook page. You can look there for commentary on current events, event information and Save the Dates, as well as updates on informal member gatherings. Like us, Follow us!